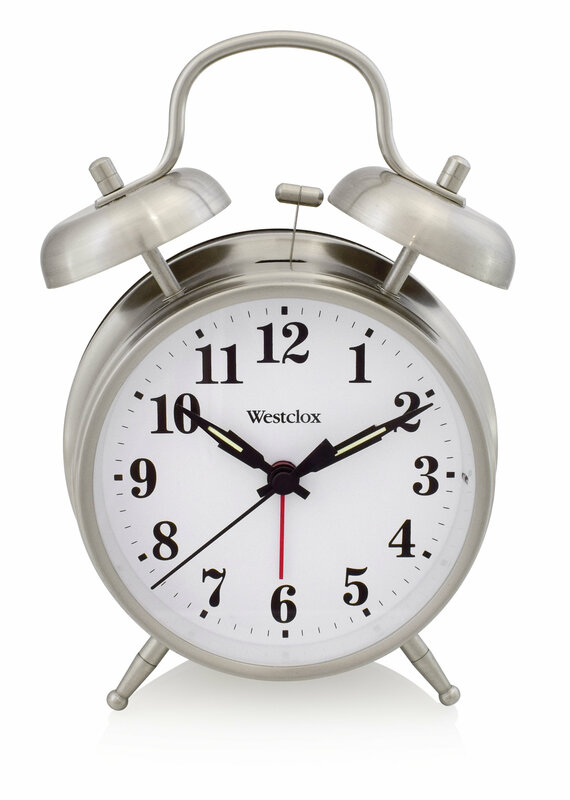 Westclox Twin Bell Alarm Clock 70010 is 4 1/2", quartz analog clock that has great old-fashioned looks with battery-operated dependability. Press the lens for dial light, as another modern perk on this great retro clock. Imported.